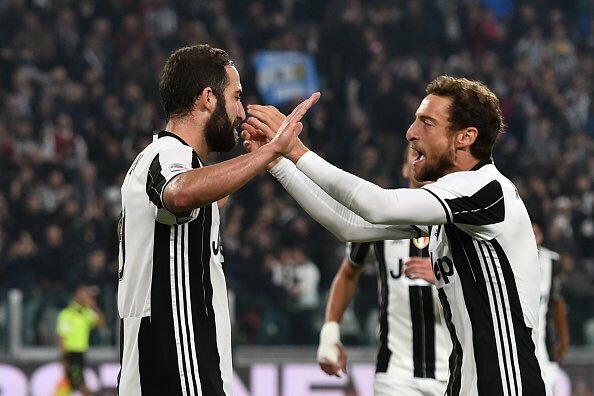 Gonzalo Higuaín scored the defining goal against former club Napoli as Juventus took an early but giant leap towards a sixth straight Serie A title. The Argentine moved to the Bianconeri for a huge 90 million Euros before the season, and his rifled effort would prove the difference after Callejón cancelled out Bonucci's opener. Having completed his big money move to the Italian champions over the summer, Gonzalo Higuaín was keen to make sure ties with his former club were not severed, giving former manager Maurizio Sarri a hug prior to kick-off. When the ball was in play, however, there was little love lost - with Koulibaly flying in with a challenge to take out the Argentine in the early stages. From the subsequent set-piece, Reina comfortably caught Pjanić's delivery. Napoli did put a good showing on for themselves, but the general picture of the game was becoming clear as The Old Lady embraced more possession and looked dangerous on the counter attack. The ball was in the back of the net on the other end of the pitch just a minute later - unfortunately for the visitors Callejón was flagged for offside. Alex Sandro was soon beginning to torment his opponents, with dangerous crosses towards Khedira and Lichtsteiner. Giorgio Chiellini had his usual big game booking for a foul on Allan before his fellow defender Sandro also had his name penned in the referee's book. That was a sign of their increasing work load, as Napoli began to have more intent going forward, although nothing substantial to shake the feathers of Buffon. Chiellini, speaking of which, would have a premature ending to his game, being replaced by Cuadrado after sustaining a muscular injury. 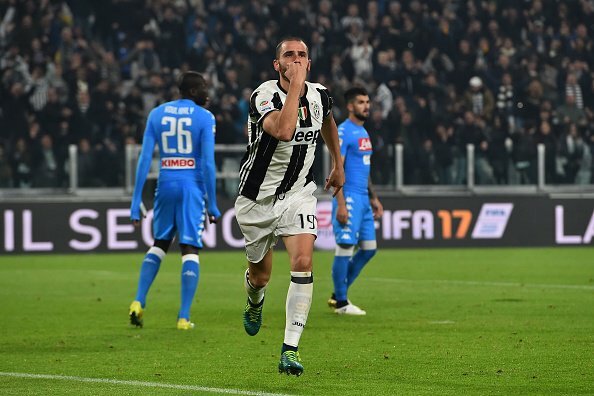 Following a deadlocked first half, Leonardo Bonucci produced a cracking goal in the 50th minute to steer Juventus in front. A corner was headed out albeit in danger, with a cross being sliced back towards goal where the defender was waiting to unleash a vicious volley from close range bursting into the net. That also seemed to wake Napoli up who, after a couple of chances, levelled up the game through Callejón. Insigne's wing-play opened up to cross a ball to the far post, where the Spaniard pounced and volleyed it past the goalkeeper. 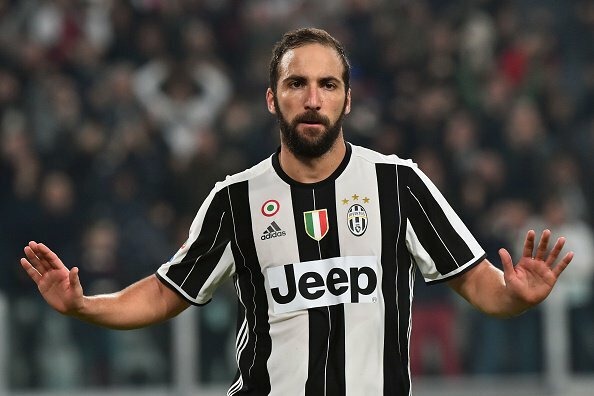 After plenty more hearty challenges and rapturous roars from the home support, Gonzalo Higuaín would determine the fate of the game with a goal against his former club. After enduring a frustrating goal drought as of late, he prodded it low and out of reach for the keeper, opting to not celebrate out of respect to the club where he made himself a household name. With that, the writing was pretty much on the wall. Typical Juve were initiated as they looked to inject all their resources into preserving the lead and taking a massive leap towards another Scudetto. El Kaddouri's free-kick was deflected over, before Callejón's cross was hesitantly dealt with, and five minutes of stoppage time made for more nerves. Cuadrado relieved a few with excellent dribbling on the flanks, and soon enough Napoli had nothing left in the tank. Juventus marched to a huge triumph and created some daylight, no matter how early it may be in the season, with their biggest contenders. Gonzalo Higuaín was missed for Napoli on the night, while his new employers will be jubilant to have him back to scoring form.